ASB President Duncan Kelley joined ASB two years ago. Kelley helps ASB plan pep rallies, dances, and other events. From pep rallies to spirit weeks to prom, these big events aren’t planned overnight. All the activities and spirit days here at Sage Creek, whether it be as small as morning hot chocolate in front of the school or as big as prom, is the result of Sage Creek’s hardworking ASB members doing everything they can to give students a memorable high school experience. At the head of this dedicated team of students is ASB president Duncan Kelley who transferred to Sage Creek during his sophomore year. “I felt like I had a different perspective that I was able to use … when you look at something that you’re not familiar with you see it differently than others,” Kelley said about moving to Sage Creek halfway through high school. Kelley is now a senior and has been in ASB for two years. Though it hasn’t been long, Kelley has already made an impact on the other ASB members. “[Kelley] is a good leader, he’s very relaxed and I think that has a good impact on our class,” Brooklynn Deal, a junior, said. Kelley claims to enjoy being president because of the freedom it provides him to do more as a member of ASB. “I like it mostly because I’m really free in class to bounce from project to project. I really like being able to help out everybody,” Kelley said. As for his biggest accomplishment so far this year, Kelley said it was attendance at ASB events. From dances to spirit days, Sage Creek has seen record numbers of participation and spirit this year. “I was really really pleased with the number of people who attended our dances so far,” Kelley said. While ASB has worked hard to grow the spirit at Sage Creek, Kelley himself has also made a lot of progress as a leader in ASB this year. “As the year has gone on [Duncan has] started to see more the big picture and he’s been taking on more of those roles that he did not see originally. So he’s been making progress personally for himself as well for him growing in that position,” Danny Kung, the ASB director, said. 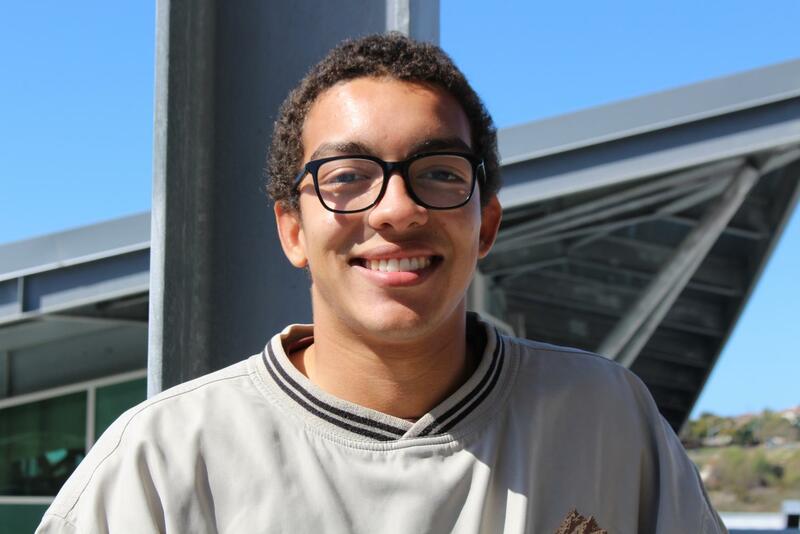 Kelley has learned a lot about leadership and teamwork during his time as a leader in Sage Creek’s ASB. “It’s very difficult to communicate and get a large group of high schoolers to accomplish a goal but it’s also very rewarding when it does happen,” Kelly said. As for the future, Kelley hopes to be accepted into the Air Force Academy, but, when asked about his plans for the rest of the year, he kept it simple.